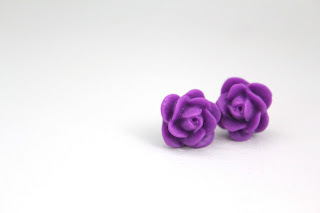 I just listed a pair of these dark purple flower earrings in my shop. 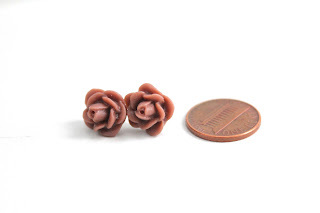 Made from polymer clay with nickel-free and lead-free metal posts. They are just smaller than a penny. 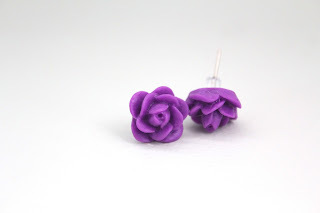 I'm keeping a pair for myself, I have so many weddings coming up this summer, I just know they will come in handy!